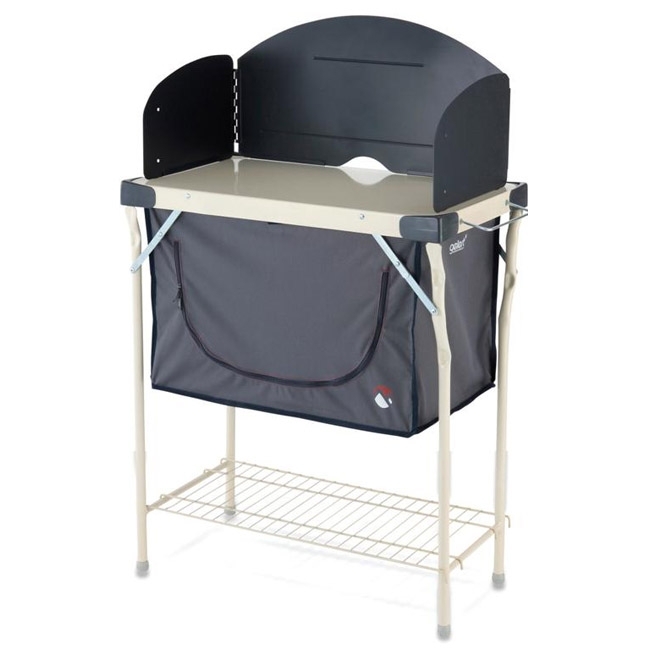 This great cupboard is perfect for use with a cooker (not supplied) and comes complete with a windshield for easier outdoor cooking. Made with an aluminium tube frame the cupboard underneath is made from high grade polyester and the mesh front aids ventilation and keeps insects out. The cupboard is ideal for storing utensils or food items. The feet are adjustable for safer al fresco cooking and the whole unit measures 75 x 53 x 85.5/116.5 cm.